Water Explorer Water Explorer - Thirsty Paper! Today we had a special challenge .Here in 4th class we did a water explore survey. We were split up into groups and were sent through out the school. One group was sent to the office to do a special survey with the staff. Another group was sent through the corridors and they found loads of items. Another group went to another classroom and did the survey with them. The last group was sent to the staff room to carry out the paper audit there. 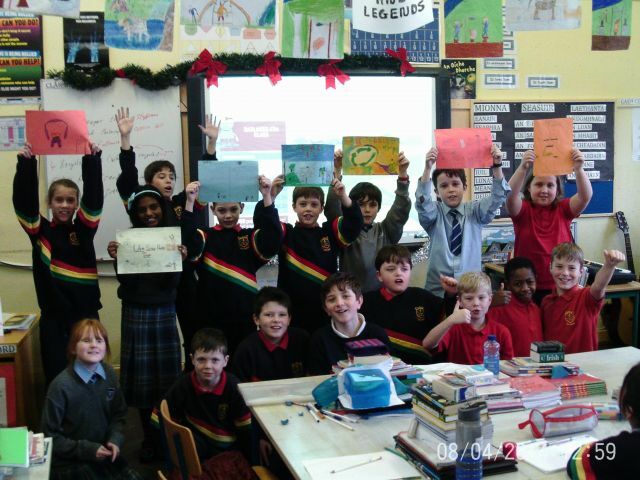 The results have been very interesting and Oatlands 4th class has now taken action to reduce paper use. We have created five posters which will be placed around the school so that everyone can see them, staff and students. The paper saving suggestions have been taken on board by the other classes and teachers and we believe the school will really reduce their paper usage. At least one in five students have changed their behaviour.